A nonprofit advocating for wild horses, one of the groups opposing a massive proposed document purge at Trump’s Interior Department, said record requests helped the nonprofit learn about a plan to send thousands of wild horses to a tiger refuge in Russia. The Trump administration wants to bury science and hide how mining, drilling and logging on public lands devastate our precious natural spaces. The proposed document purge includes records about endangered species, oil and gas leases, timber sales, dams and land purchases. The National Archives has said that getting rid of records is standard and has been going on for decades. The schedule’s language gives broad authority to Interior Secretary Ryan Zinke to destroy records documenting government efforts to protect endangered species and public lands. “The Trump administration wants to bury science and hide how mining, drilling and logging on public lands devastate our precious natural spaces,” said Meg Townsend, an attorney for the Center for Biological Diversity. The federation learned from a document request that the Bureau of Land Management in 2011 under former President Barack Obama considered shipping wild horses to a sanctuary in Siberia where they could be killed and eaten by leopards and tigers. “Would we pay for shipping to Vladivostok or allow horses to be placed on a sanctuary with known heavy predator population?” asked Karla Bird, an acting division chief. BLM ultimately decided against sending our nation’s wild horses to Russia to be eaten by tigers. But in 2017, the bureau again was looking at sending horses to Russia and also to Guyana in South America. Under the Wild Free-Roaming Horses and Burros Act, passed by Congress in 1971 when Republican Richard Nixon was president, the federal government is supposed to manage and protect the herds. Almost 82,000 wild horses and burros roam our nation’s public lands. More than 50,000 others are corralled. The Trump administration proposed euthanizing or selling “excess animals” in 2017, but Congress kept a ban on slaughtering the animals. The comment period about the proposal to destroy Interior Department records has ended. Contact Secretary Ryan Zinke about concerns about keeping records. Call him at 202-208-3100, reach out to him on Facebook, Twitter or send an email. 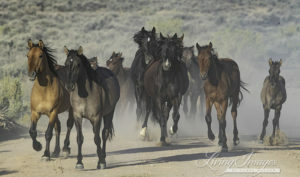 Wild Horse Freedom Foundation can be contacted online. 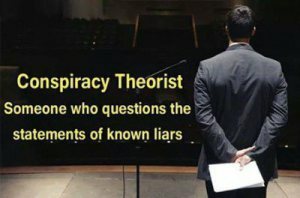 You can read articles on dcreport.org HERE.